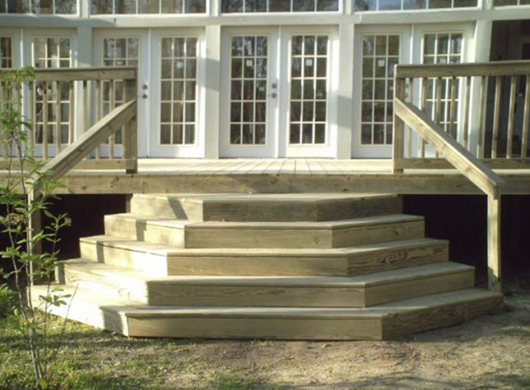 Are you looking for stairs for your home, mobile home, or business that are more elegant than the typical manufactured home steps? Why not invest in a beautiful set of Ready Decks Wedding Cake Steps that can be added onto an existing Ready Deck or go straight to an existing door? Whether you need new steps for your porch or need wooden steps for your mobile home, our wedding cake steps are an excellent options.